We manufacture and supply antique Nautical Binocular in the domestic and international market. Nautical Antique Binocular that we offer is made from excellent brass and leather materials. 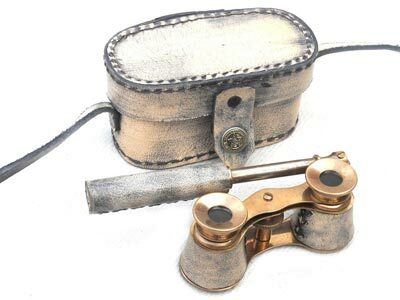 Three Inch Binoculars are available in 3 inch size with antique finish. Nautical Binocular is also accessible with carry box made from high quality leather. Apart from this, we are counted as one of the renowned Brass Nautical Binocular Exporters & Suppliers in India.